사진만큼 완전 밝은 베이지 브라운 컬러는 아니지만 브라운 컬러 중에 밝으면서 부드러운 밀크 브라운 느낌이에요. 흔한 주황빛 브라운 컬러가 아니라 이쁜 것 같아요. 혼혈렌즈의 끝판왕! 인거 같아요. 이국적인 푸른빛 도는 그레이 색상 이여서 외국인 눈동자 를 떠올리는 듯한 색상의 렌즈랍니다. 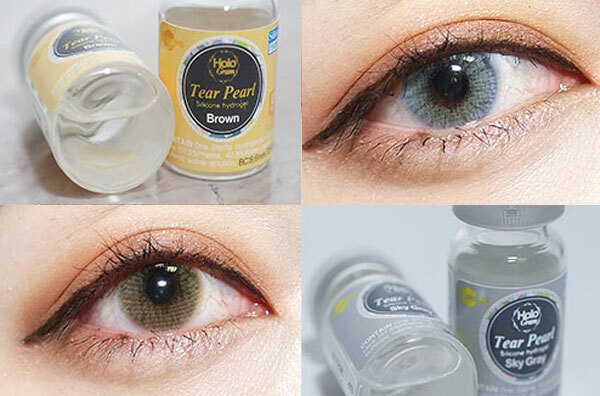 It is very pretty creamy beige brown, so if you have only a gray lens, I think you really like it. It is so natural and beautiful. Color is a real art. I really recommend it. It is not a beige brown color that is as full as the picture. However, it is a soft milky brown feeling in the brown color. It is an exotic blue-tinted gray color that reminds me of a foreigner's eyes.